Being a first grade teacher is exciting, you get to help build the true foundation to a child’s education, their character and who they will become as adults. The children are so full of energy, eagerness, expression and will literally soak up all that the teacher says, does and models. What exactly can you give to your child’s first grade teacher? Think of things that they can use in the classroom, something to help them grow, something to help them fertilize their new garden of seedlings (their students). What can you gift that is different, something that they would surely need and really appreciate? The less out of pocket a teacher has to do, they happier they will be. The less stressed they are when it comes to having supplies and tools to help them with the children. Plus a few things to help the teacher feel loved, needed and appreciated for all that they do. Offer great gifts of gratitude for their hard work. 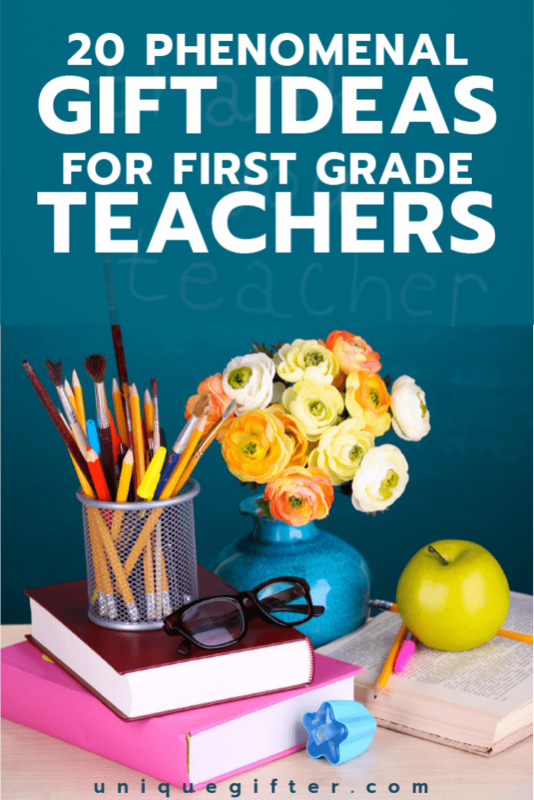 Here are 20 gift ideas for the 1st grade teacher I really think you should consider! 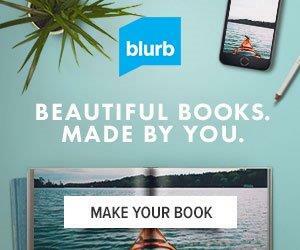 Help them create a classroom memory book. Many teachers would love to have a scrapbook that reminds them for years about their little seedlings. Some students find their teachers later on in life; how wonderful would that be to show them how their education started! You can order a grand memory book, just for the teacher and you can order one mini book for each child to also take home. Imagine opening up your own time capsule and getting a fun little scrapbook of your first grade life; what an awesome gift to get! What a unique way for your child’s first grade teacher to have a keepsake of their classroom! Have all the children scrunch up their little faces in front of the best wall in the classroom. 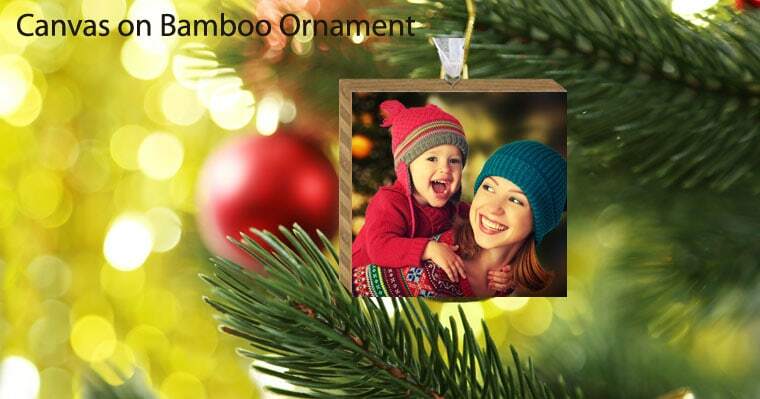 Take a keepsake photo and get it on this cool canvas bamboo photo ornament. You don’t have to have a tree to fall in love with this classroom ornament! The Cricut is any teacher’s best friend! This is something that I would ask each of the parents contribute to. The price far outways the amazingness and endless possibilities the children will be able to benefit from. The teacher can use their Cricut to create so many stories and various other crafts with the children. Many teachers spend money from their own paychecks on things that they can easily create with a classroom Cricut. Want more cool crafts from your kis, contribute to a classroom Cricut and watch how many more fun things the kids will come home with. Your child is with their teacher for about 30 hours per week! You can help your child’s first grade teacher by giving them tools to help them guide their little seedlings to learning how to express them self in a way that doesn’t disturb others in the classroom. In this book, your child’s teacher will be able to easily help the children channel their thoughts, feelings and actions so that the child can still be able to do their classwork but they will learn together with their peers on how to communicate better, how to behave and how to get their needs met without frustrating everyone at the same time. You want everyone in your child’s life to empower your child to take better care of themself and their actions, plus take responsibility too. Your child’s teacher will love this book! Sometimes the kids just need a break from all that traditional pencil and paper work. Gift this card game set to your child’s teacher so the kids can have some fun while learning too. The kids will be able to have fun, learn, show off their skills and the teacher will get to help them all along the way. Your child’s teacher can also watch and observe how the children interact, engage and with the light=toned learning activity they can see where the child is without formaly testing or quizzing the kids. Brain Quest 1st Grade Q & A Cards. Your child’s first grade teacher will be able to really challenge her classroom. Children love to ask questions, put this to good use with these fact based Q&A cards. It will allow the teacher to get a short break from dictating and allow the kids to take matters into their own hands. What a fun quiz period this will be. Help your child’s 1st grade teacher keep their sanity by gifting them these very helpful necklaces. Give them enough for each child in their class this year. Even if your child doesn’t have sensory, ADD/ADHD or any Autism needs, these necklaces will surely help those little antsy kids with all their need for constant chatter! It will also save pencils, crayons, markers and chalk pieces lives too. Help your 1st grade teacher continue reinforcing phonics with the children. In first grade the children are still in the early stages of learning to read, getting the teacher fun resources like alphabet soup allows the kids to learn through play which helps the kids retain more. 1st graders will love to do math and many other things with these colorful sorters. The teacher can benefit from a couple of sets so there are enough for each group of kids. These aren’t just sorters, they are counters too and they also help children with hand-eye coordination and some other important skills. Every teacher needs inspiration and motivation. Their job is hard, get them in touch and remind them that their job is one of the most important jobs in the world. These stories from other teachers will keep them connected and remind them they are not alone.Reading funny things that happens in the classroom lightens their mood and brings them back to center ground. Your child will be celebrating 100 days of school, gift the teacher these fun bracelets to help remind the children of their progress and how great they are doing. Celebrating this 100th day is not only a count-down to the last day of school but it helps remind the students of their commitment to themselves. Your childs teacher would be happy to include these bracelets in the celebration. First grade is alot of work! Teachers are on their feet most of the time going around from desk to desk to help guide and support each of the children. Help your teacher alleviate some stress, especially in their feet and legs with this lovely pedicure spa set. Remind your 1st grade teacher how crucial their role is in a child’s life. They don’t just affect the child’s learning, but they also help build the child’s character and personality. 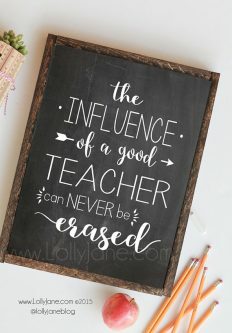 Good teachers are always remembered, remind them that with this lovely quote. Your first grade teacher would get a kick out of this shirt and so will the kids. Students are always in need of a pencil, somehow they go off to some magic pencil land (a.k.a pencil sharpener!). 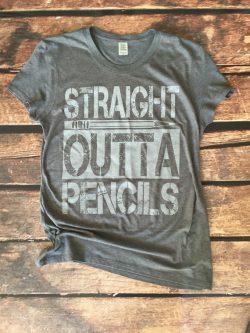 All the teacher has to do is remind their student that pencils are to be cherished is point to their shirt every time they see a student at the sharpener. Kids thrive and truly need and look forward to positive feedback. 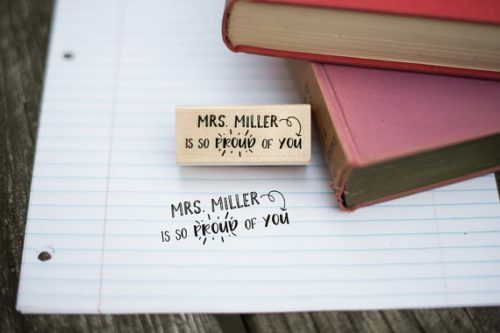 Help your 1st grade teacher give more praise more easily with this cool custom rubber stamp. Teachers will also save a little more time using this stamp, show them you value their time by helping them with easy to use tools. 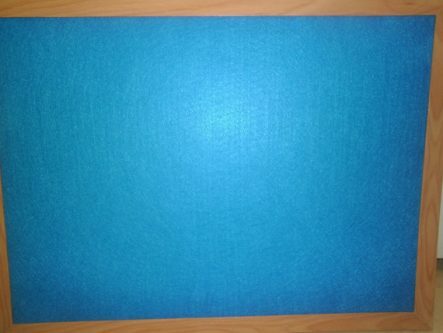 A felt board is a great addition to any first grade classroom. The teacher can help their students in so many ways using this super learning tool. Kids love it and will keep them busy. It can be used for storytelling, math, reading or just plain old silliness. This isn’t any ordinary mug. It shows your child’s teacher you know, understand and appreciate them and what they are doing. They help build the ground work with you to guide your child in the right direction. The mug says it all and they really are facts. Teachers work just as hard as you do to help support, foster and facilitate your child’s learning. 1st grade is tough work! Teachers have lots of things to cover and not just academically. They help their little seedlings with transition, mastering various skills, give them emotional and mental support and lots of love! 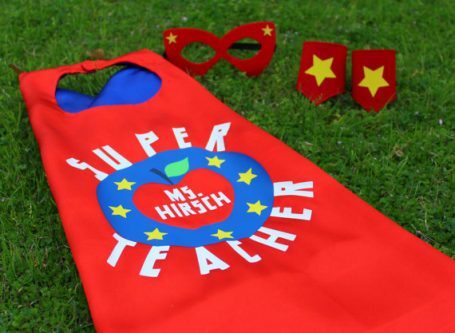 First grade teachers have a Super Job to do, get them this Super Teacher cape set to wear the first day of school as well as on those fun days of school. 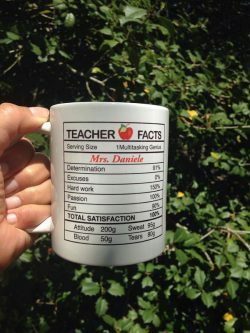 The kids will get a kick out of their Super Teacher status. Help your 1st grade teacher with some classroom supplies. They go through supplies pretty quickly, it all adds up. Many 1st grade teachers use their own money to replenish supplies, you can help them with this very resourceful gift of classroom supplies. Help your first grade teacher easily reward all that hard work the kids do with this assortment of little prizes that can go into the prize box. It’s the little things that will make a child’s day and make it easier on the teacher. The less money they spend the more they can actually enjoy teaching the kids. They will be happy to have little prizes to offer the kids for various reasons. First grade is really exciting, for everyone including the teacher! They get to help a child create and build a solid foundation. They really work hard in many areas with the children, not just help them with spelling and math. Show your first grade teacher how much their job is truly appreciated, how they are valuable. Help them with gifts that they can use on themselves to remind them to also reward them-self for great work. Help them with classroom materials, these gifts will surely be useful, helpful and the teacher will be grateful to receive such thoughtful gifts from you.